California’s wildfires are continuing to devastate homes, neighborhoods, families, and wine country farm land. The tragedy continues as wind gusts are picking up with no rain in sight. There are current warnings that the roaring flames could merge creating an even bigger beast. Many California natives have been urged to leave their homes and businesses. Our hearts break for the families who live in California and everyone affected by the devastating circumstances. 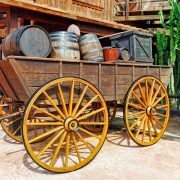 Many families own and operate winery establishments that have inherited the business through multiple generations. Our hope for these families is that they can overcome these challenges. FEMA and other disaster relief organizations will be donating their services to help with the reconstruction of California. Because of the severe loss, it is currently unknown of how long this can take. 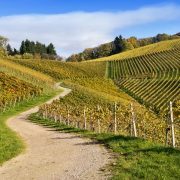 The question arising for travelers is “What will we do about our trip?” Unfortunately, any traveler hoping to venture to California’s wine country will have to postpone their trip. But, travel agents always have alternative options. If you’ve already booked your trip in to California, hopefully you opted into purchasing travel insurance at the time of booking. Travel insurance protects travelers by covering most unexpected medical expenses, trip cancellations, and losses occurred from their trip. For this specific instance, travel insurance could be used to reimburse the traveler due to the natural disaster. If the trip was booked without travel insurance, reimbursements and rescheduling is at the discretion of the airline and the hotel. Encompass the World Travel agents can reach out to these suppliers on their clients behalf, most of whom we have a personal relationship with. It is our responsibility to do everything we can to help our clients with these scenarios. During the restoration of California, Encompass the World travel agents suggest other winery destinations across the country that are sure to satisfy any wine enthusiast. Washington, California’s northern neighbor, has over 850 wineries that are open year-round for tourists. 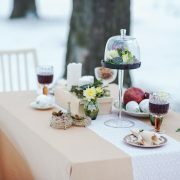 They also host events that every traveler would enjoy such as romantic tours, seasonal tastings, and art & wine fusions. 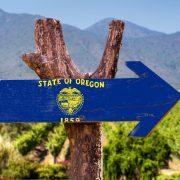 Oregon’s wine country has grown from small mom-and-pop shops to an industry of over 450 vineyards with 130 winery locations. Oregon also offers reasonable prices for their numerous accommodating inns, outdoor activities, and innovative restaurants. 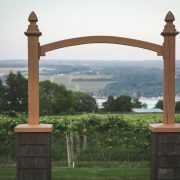 Although there are only a few, the vineyard regions of New York uphold their reputation of premier wine tourism. The vineyards are situated near widely-known bodies of water, other farmland, and quiet towns. Any wine lover will adore the Texas wine country. With the state’s year-round warmth and southern charm, tourists feel right at home. Every season brings wonderful spirits, tasty wine and first-class dining. North Carolina provides the experience of tasting wine in a state full of wine and grape history. The climate of North Carolina contributes to their ever-famous grapes. Wine trails and many other outdoor activities are featured by all the wineries. As the wildfires continue, we will be faithfully wishing the best for the families affected. Encompass the World Travel will be providing support to our clients planning their trips to wine country. Encompass the World Travel invests our time and resources into developing the best client itineraries and travel plans suited for every individual client’s needs and desires. To start planning your next adventure with an Encompass the World Travel agent, submit your preferred communication method or call 1-330-225-0600.